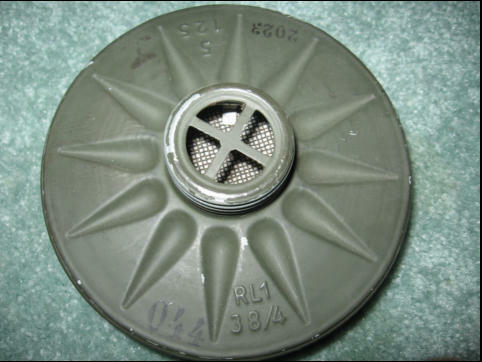 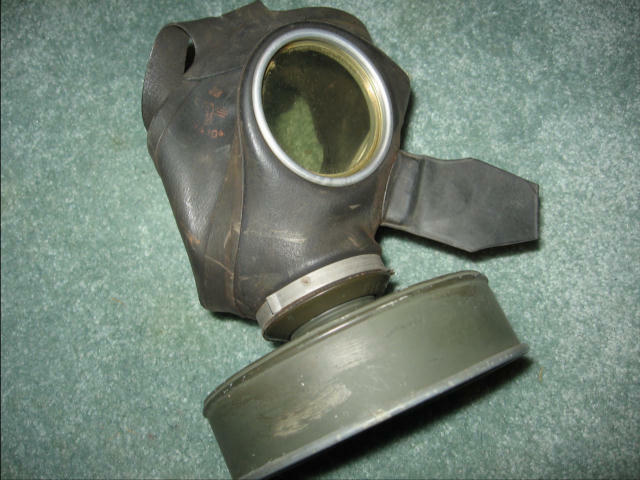 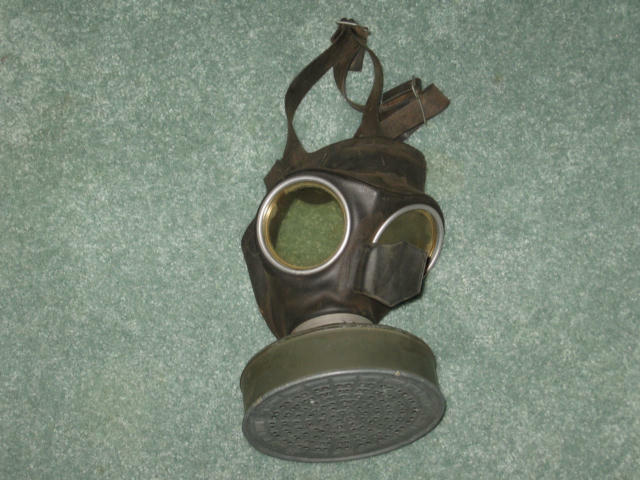 IN THIS SECTION I WILL SHOW YOU VIEWS OF THE GAS MASK THAT WAS WORN BY CHILDREN . 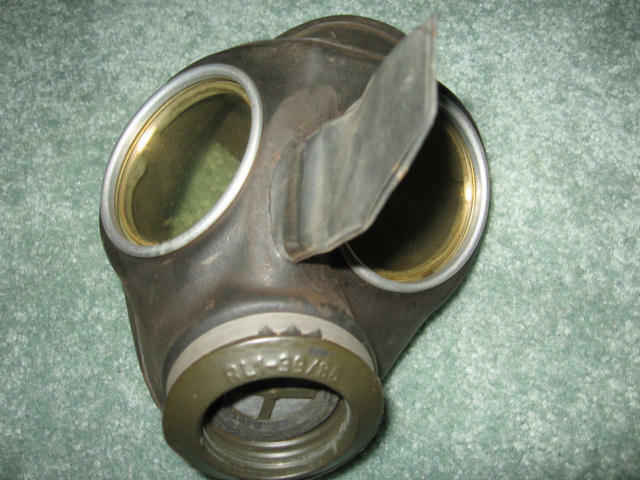 THIS MASK WILL BE MARKED WITH THE LETTER " K " FOR KINDER . 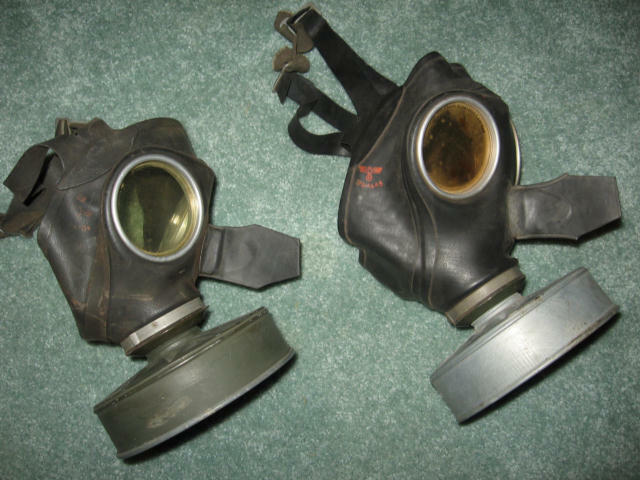 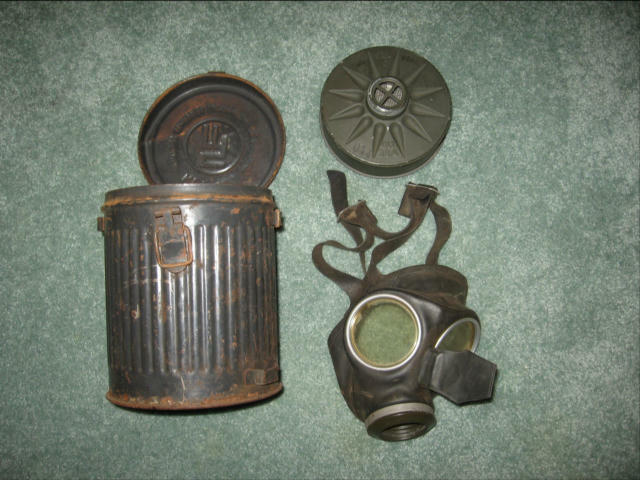 Child or Kinder gas mask is on the left and Adult size on the Right . 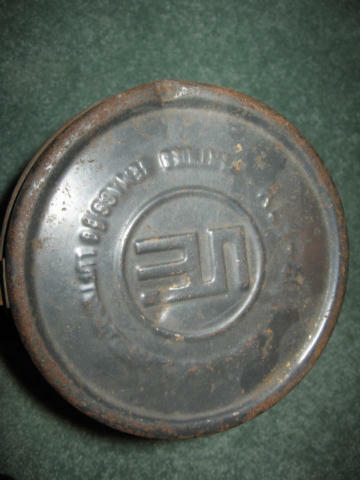 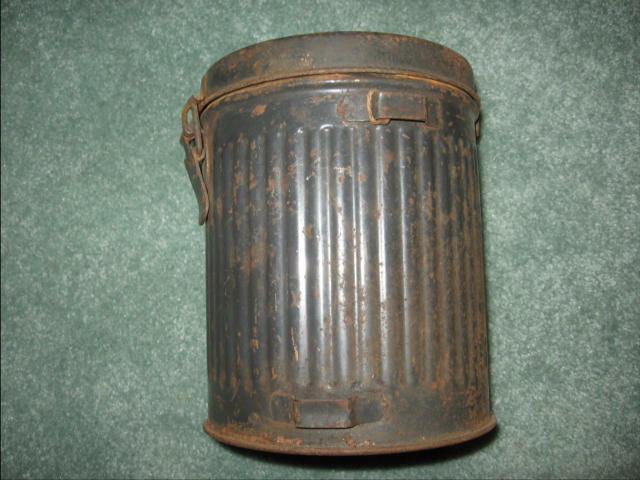 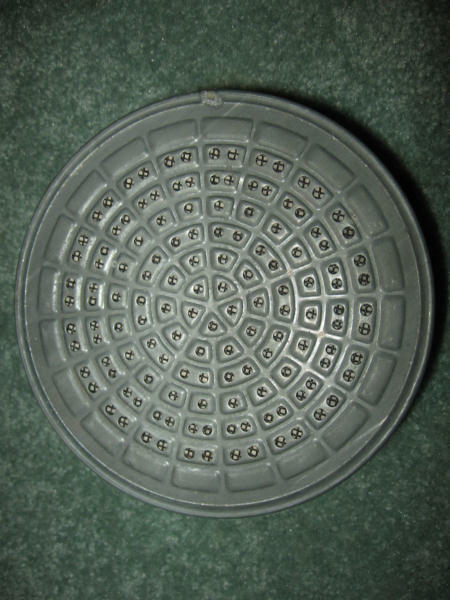 Carrying container is made from stamped steel with vertical ribs and a hinged lid . 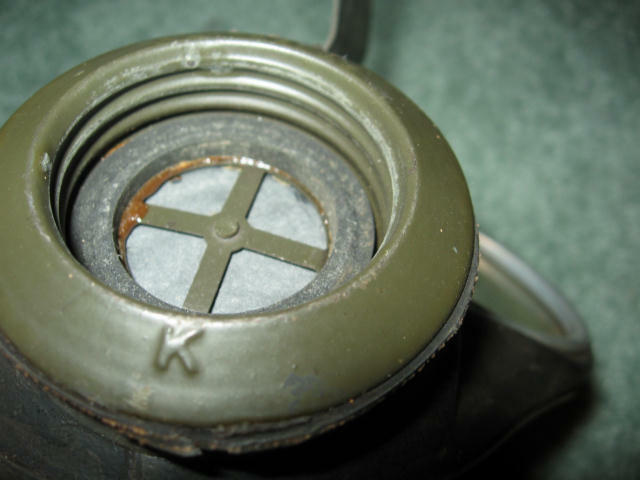 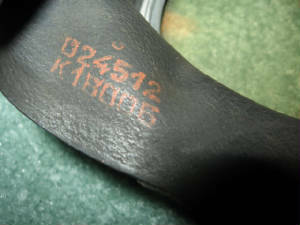 Some masks have a " K " ink stamp between the eye pieces , all have the " K " on filter connection .